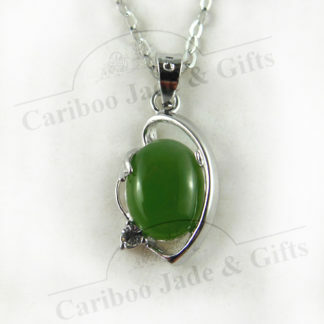 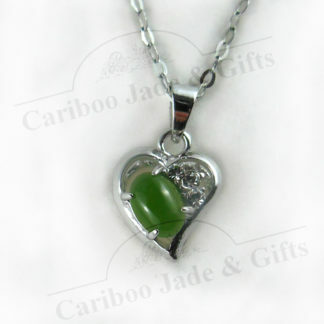 BC jade oval pendant includes 18″ sterling silver chain. 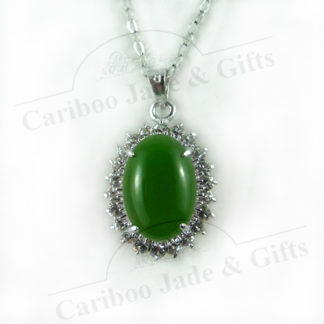 Approximate size of pendant 27 x 15mm. 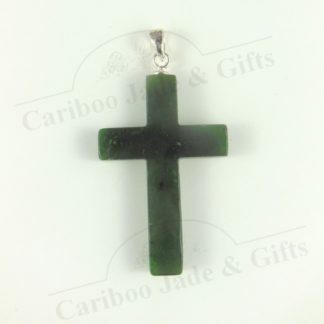 British Columbia jade 10 x 14mm cabochon surrounded by a rim of facet cut cubic zirconia stones set in sterling silver. 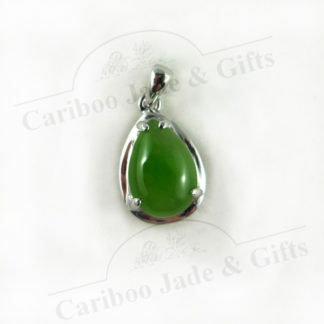 Pendant includes 18″ sterling silver chain. 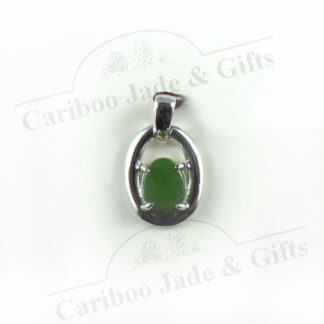 Approximate size of pendant 27 x 15mm.